Ayuna's Natural Rejuvenating Treatment Cream - Light is a scientifically advanced, botanical formula that boasts an array of high-performance natural ingredients. Phyto-peptides and plasmas, rich in botanical cell factors from green carrot, arabian cotton, pomegranate and phyto-peptidic fractions from turmeric root and centella, help skin maintain a feeling of regeneration. While rich in nutrients, its light application makes skin feel soft and moisturized, while leaving behind a supple, revitalized appearance. Use twice each day, once in the morning and once at night. Gently massage onto face, neck, and chest. The botanical face cream lends a protective feel throughout the day and is ideal used under makeup, while offering a restorative and reparative sensation in the evening. 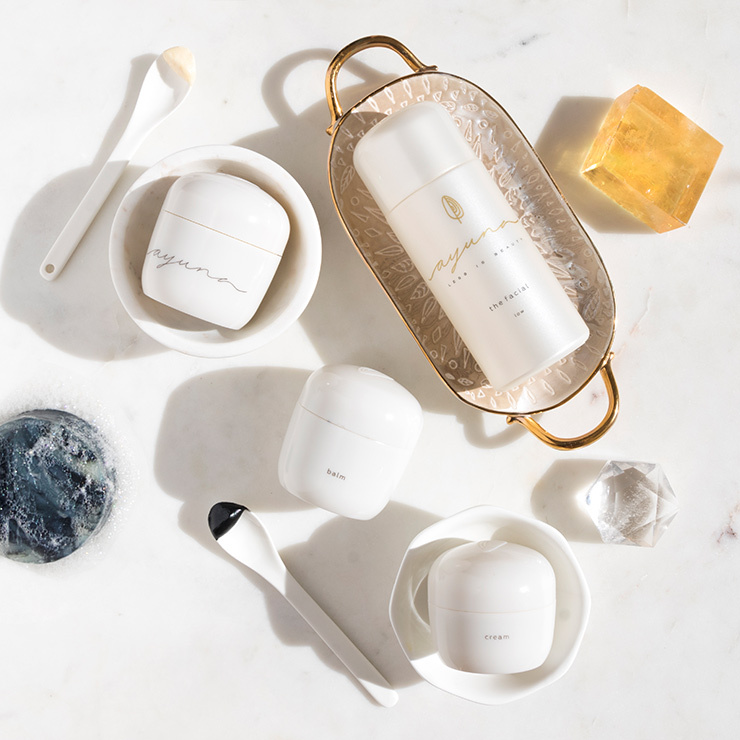 Ayana is one of my favorite finds from Beauty Heroes. I have combination skin, but this lightweight lotion sinks in quickly, and keeps my skin feeling great without creating excess oil. My husband even uses this cream daily, and he loved the neutral, light scent. I never thought I’d want to spend so much on a product, but I’ll definitely repurchase. Ayana is worth it! I fell in love with Cream II - Rich when it came in last year's box and have always used that one ever since. So I was excited to get to try the Light version. I think I might have to keep this one in stock too. I prefer this for daytime because it does feel very light and with little residue, whereas Rich feels a little bit like a sleeping mask. Perfect. Ayuna may ruin me for all other skincare products. Their signature scent is so beautiful--light and relaxing so every time using it is like a spa day. This cream is the perfect consistency for nighttime use for me right now in the summer months, though I'll be interested to see how the light formulation handles Midwestern winters when my dry skin is really thirsty. A little bit goes a long way like all their products so I can see this being a new indulgence. Wow! Never tried such an amazing face lotion! The scent is beautiful and addictive. The texture is incredible. My skin feels and looks fabulous! I'm a face oil user but this lotion is beyond everything! I will continue maybe to use oil at night but Ayuna cream will be my new ritual for the morning. So, so beautiful. It's like there is some magic going on.